For KLites and true Malaysians at heart. Have you ever wondered what it is like to go on a staycation? Well, a staycation in the heart of Kuala Lumpur is indeed a fascinating experience especially if one takes up the City Discovery Package offered by Cosmo Hotel Kuala Lumpur. 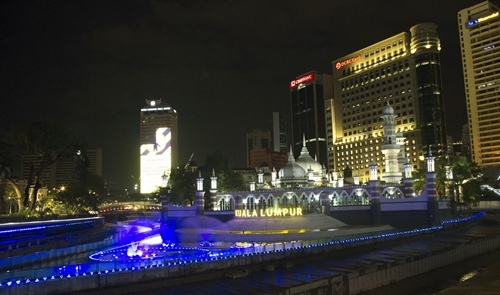 Not only is it ideal for the locals but it is definitely an enriching experience for tourists and 1st time visitors to Kuala Lumpur. FREE access to the Hotel’s new gymnasium and in-room WiFi for endless streaming and seamless connectivity. What’s more. You get to explore nature at its best at the KL Eco Forest which is located just steps away from the doorway of the Hotel. Well … it’s about 5-10 minutes’ walk. Verdant greenery, birds chirping, sightings of raccoons, the smell of floral and fauna, canopy walks and more awaits right in the middle of the KL concrete jungle. Who can imagine this right? There’s no entry fees for now and with a nominal fee, a personal guide can be arranged. Do check back with the hotel’s concierge for further information and arrangement. Of course, this Mother Nature walk is subject to weather conditions. And what is a staycation without a proper walkabout exploration right? For an optional RM250 nett per person, you can go for a personal 3-hour guided cultural walking tour. The walk commences at the landing site of tin miners and traders located directly opposite of the Hotel (who would have guessed right!) and an insight into the people who played significant roles in shaping the city, establishing trade and a brief understanding of the city’s development from the period of 1800’s to mid 1900’s. And Cosmo Hotel Kuala Lumpur actually sits at the old market square, which a century ago was the main trading area. The fascinating and historical 3-hour cultural walk around the surrounding neighbour is inclusive of food sampling at three different eateries/restaurants for South Indian snacks, Jai Hind Restaurant for Punjabi Northern Indian and a pit stop at the century old historical Coliseum Café to enjoy their signature drink of The Gunner. In the evening around 7’ish pm, don’t forget to visit the convergence point of the Klang and Gombak rivers (believe it or not! This is directly opposite Cosmo Hotel Kuala Lumpur, behind the HSBC building!). Due to significance of this location, the entire area was beautified under the government’s 1st phase of River of Life project, a visual transformation of the rivers into a stunning sensory experience complete with a Blue Pool, equipped with a Dancing Symphony Fountain, fog (thanks to approximately 1551 nozzles fitted to create the atmospheric/aesthetic fog effects) and lighting effects!! Definitely plenty of photo ops here and of course a haven for selfie and wefie lovers!